Hunting season is still open but with conditions unseasonably warm it’s tough to catch deer on their feet before dark, especially if you’re hunting a food source. Under these conditions hunters often debate if they should head to the Summit stands or just stay at home with family. We wonder, “Is it even worth going to the woods?” Deer have adapted to the warmer temperatures and so can we. Grant with Blind 8, a buck harvested over a stand of clover this fall. 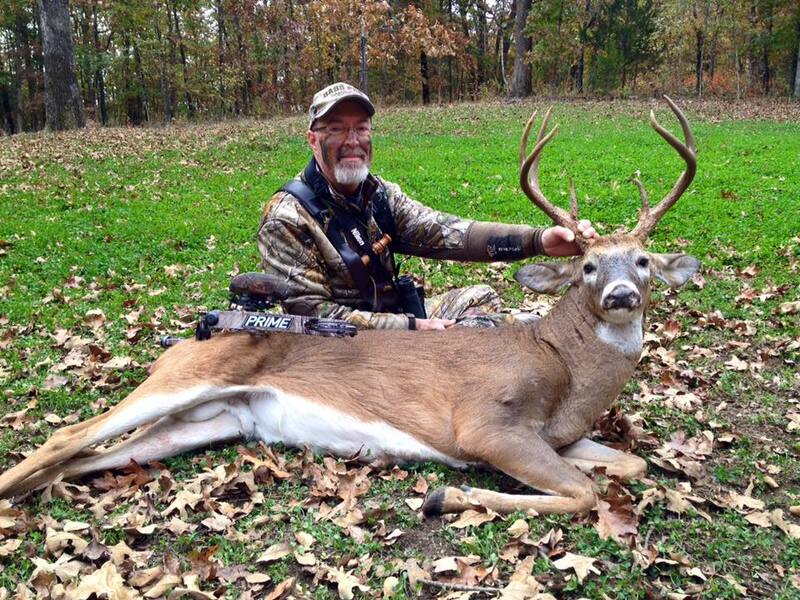 Warmer temperatures during December mean a few different things for whitetails. Normal bedding areas may change. We typically see many deer bedding on the south facing slopes during this time of year to soak up the warmth of the sun. However, with the warm temperatures the deer may be bedding on the north slopes to remain cool. This information helps us develop a game plan for hunting. Warmer temperatures mean deer will not need to feed as much. Similar to early season tactics, we will hunt food sources close to bedding. As bedding areas will change, so will the food source deer are using. Deer will not need grains like soybeans and corn during warm spells. High energy food sources like soybeans or corn produce more heat when digested. Deer help to regulate their body temperature with the food they eat and where they bed. With warmer than normal temperatures, deer will opt to feed on forage like clover or wheat. Warmer temperatures provide great growing conditions for clover and wheat which means they’re green, highly attractive, and still palatable even during late season. If you are experiencing warmer than average temperatures, try changing your tactics from your normal late season strategy. Take an early season approach, hunt close to bedding areas near a food source you know deer are using. This approach should allow you to remain successful throughout the season, despite the above average temperatures and unfavorable hunting conditions.